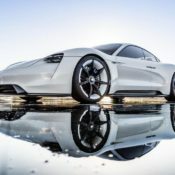 Porsche is on a mission trying to make as much hype as possible for the Porsche Mission E concept while they are busy turning it into a production car. They started the campaign with their in-house celebrity, Mark Webber. 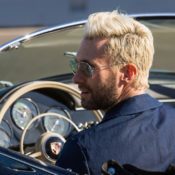 The next famous person to have a go in the car is Maroon 5’s Adam Levine. They didn’t just pick Levine out of the blue. 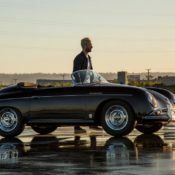 Maroon 5’s frontman is actually a huge car guy, and the proud owner of a superb 1958 Porsche 356A Speedster, which he has owned for more than ten years now. 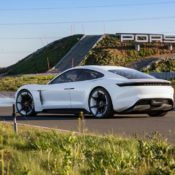 Now, the Porsche Mission E is a world, nay, a universe apart from that 356A. But Adam is a savvy enough driver to notice the car has the same spirit of sheer sportiness and fun. 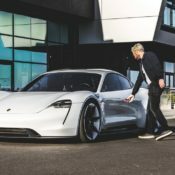 He drove the Tesla-killing Porsche at the company’s Experience Centre L.A. where he could freely explore the potency of the electric motors. 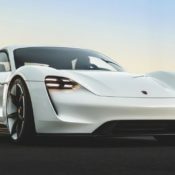 Porsche Mission E is Germany’s answer to the Tesla Model S. None of the other big German automakers have anything in the pipeline that would match the American car’s performance and overall capabilities. Not only the Mission E matches what Tesla has to offer, it will almost certainly surpass them, and by a large margin. There is only one tiny niggle about this thing, and that’s the way it looks. Not that there is anything wrong with it. It’s just that when compared to the Model S, the Mission E looks somewhat depressing. 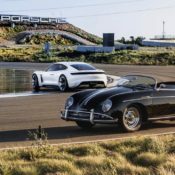 Still, that is the Porsche way. They make ugly cars that will grow on you when you see them a bunch of times. 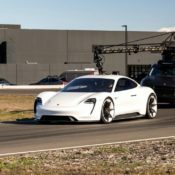 The post Maroon 5’s Adam Levine Sample’s Porsche Mission E appeared first on Motorward.